Nitin Badjatia has been involved with enterprise software for over twenty years. He currently serves as the Head, Product Strategy for Customer Service Management at Servicenow. Previously, he served as the Global Head of GTM for Oracle Service Cloud and as Director, CX Strategy at Oracle, a role he also held at RightNow Technologies (acquired by Oracle in 2011). 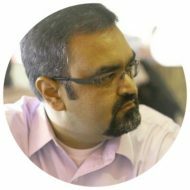 Prior to RightNow, Nitin was Director, Business Strategy at KNOVA Software, and was a part of the financial services practices at Siebel Systems and Oracle (his first stint at the software giant). Before diving into technology, Nitin was in global banking, first as the Asia Analyst at Mellon Bank, then as an Officer in the Global Bank at NationsBank (Bank of America). Nitin is a founding board member at Customer Commons. With the exception of this ‘about’ page, Nitin does not regularly refer to himself in the third person.